On Friday evening Kath and I headed into Manchester to visit Play it. 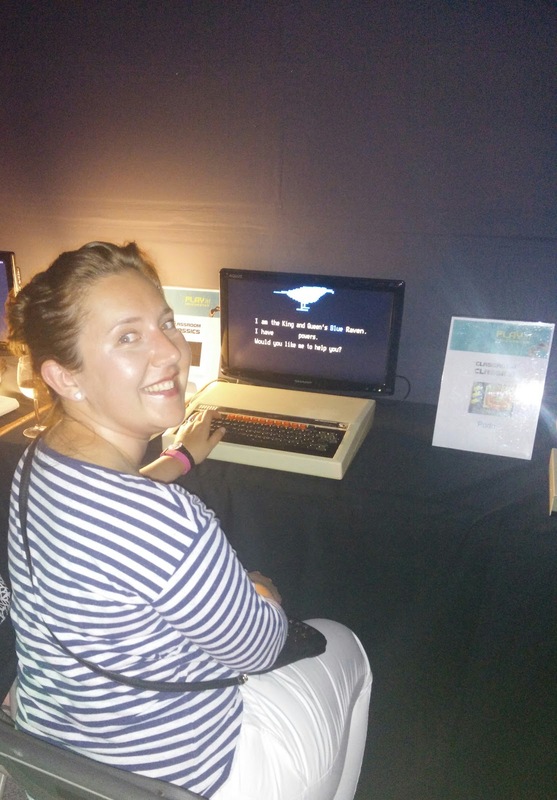 An exhibition of computer gaming over the last 30 years. With everything from Classic systems, like the BBC micro including Atari, Commodore and Spectrum, Megadrive, SNES and Nintendo 64 through to PC, PlayStation and Xbox. To the ultra modern demos using Oculus rift. I got to relive my childhood playing Mario Kart, PacMan, and Goldeneye amongst others. Kath had never seen some of the computers and games before, a legacy of growing up behind the iron curtain. It was great watching her playing Sonic the hedgehog, collecting rings and blazing round at hyperspeed. Kath also enjoyed the classic BBC Micro, as shown in the picture. After the exhibition we went for a Byron burger in Piccadilly Gardens. Before running to catch the train home, an exciting evening!